Posted on Friday, May 18th, 2012 at 12:12 pm. BlogPaws had the honor and privilege of attending and covering the Betty White Friars Club Roast in New York City this past Wednesday, May 16. Betty White’s passion, zest, and lifelong advocacy for animals made us so proud to be there. We interviewed the famous celebri-dog, Uggie, and his owner/trainer, Omar Von Muller. Uggie was rescued from being sent to a pound and here at BlogPaws, we celebrate, wag, and raise our sparkling water glass to Omar! He is famous for his roles in the box office movies Water for Elephants and The Artist. Uggie has retired but came out of retirement for this very special event, so BlogPaws has an inside scoop on this canine star and his owner. 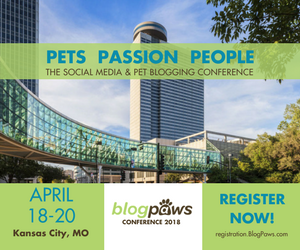 See you in June in Utah, where you can go paw-to-paw, nose-to-nose, and shoulder-to-shoulder with celebri-dogs like Tillman, Norman, and more at our pet-friendly ultimate social media conference for pet bloggers, microbloggers, and anyone who loves pets and being involved in social media. Oh, and did we mention it’s a pet-friendly 3-day event? Everyone can be there, so come join us virtually and/or in paw-son! Very special thanks to Nature's Variety by inviting BlogPaws to be their guest!